The Packers lost this past weekend so that means football is over for me. Until NASCAR starts next month I hope to spend the extra time READING!!! Kylie Logan Will Be Here This Week For Cozy Wednesday! Half way Through When My Kindle Fire Battery Died! Mary Daheim is my guest for Cozy Wednesday on January 30! J.J. Murphy will be my guest next week for Cozy Wednesday! Josie will be dropping by to answer my questions next Thursday!! It will be a truly cozy week!! I think I may just have to add a bunch of the books you posted to my tbr list! They look lovely, I hope you have a favulous reading week! Looking forward to joining you next week! That’s a nice list you are working on. Here’s mine. I like the look of your cozies! Hope you enjoy them all! Another great reading week for you! I have Josie Belle’s and Kylie Logan’s cozy series on my “new cozies to read in 2013” list. Both sound promising. Sorry about your Packers! I was sad the Seahawks lost. I read Oath of Office last year. We may not be reading the same books right now, but I did read Playing with Poison and I loved it. Enjoy your reading this week! Looks like you’re getting some good reading in. 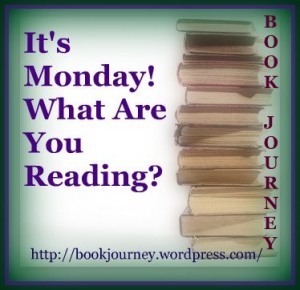 Enjoy your current reads and have a great week!